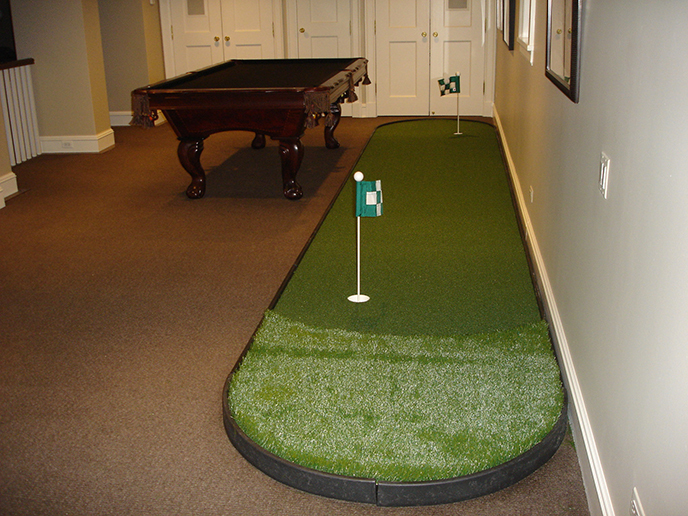 Start enjoying your very own putting green in your home or office today!. By combining our panel base system with the highest quality turf on the market today, we create the ultimate in the perfect putting system. 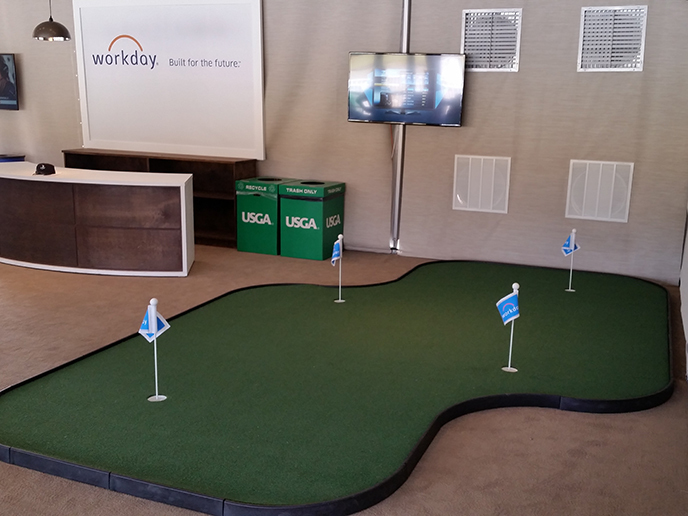 Kits come complete with cups and flags, are easy to assemble and can be installed indoors or outdoors. They also make great gifts for that golfer in your family! Please call (847) 846-5144 for sizes and pricing.